Virtuousbread.com's travelling bread oven arrived in Firle, East Sussex yesterday to hold three days of baking classes at The Vicarage, thanks to my friend Pete the vicar who is away at the moment on his book tour. In exchange for the run of the house and the fantastic oven, I was asked to feed the cat (she has three kittens and the family sleeps in his bottom drawer) and feed the chickens. The lure of warm, fresh eggs is strong and yesterday I went out about four times to check if any eggs were being laid. To my delight, and the delight of my students, the chickens performed on cue and the students all got an egg to take home! 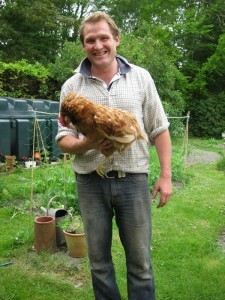 My adventures in Firle took a new direction, however, when I found a dead chicken in the coop. One minute alive, the next minute she had just upped and died. Stone dead on the ground with the other chickens strutting around her clucking in a distressed fashion. Was I supposed to pick her up and bury her? Did a weasel get in and kill her on my watch? Was there a poison apple in the chicken feed? Guilt, guilt, guilt! I phoned Pete: no answer. I phoned his daugher: no answer. I twittered like mad and received helpful tweets in response like: "add mayonnaise" or "put her in the pot" or "bury her at the bottom of the garden". Cook her? Bury her? I am from London! I did not want to touch her. 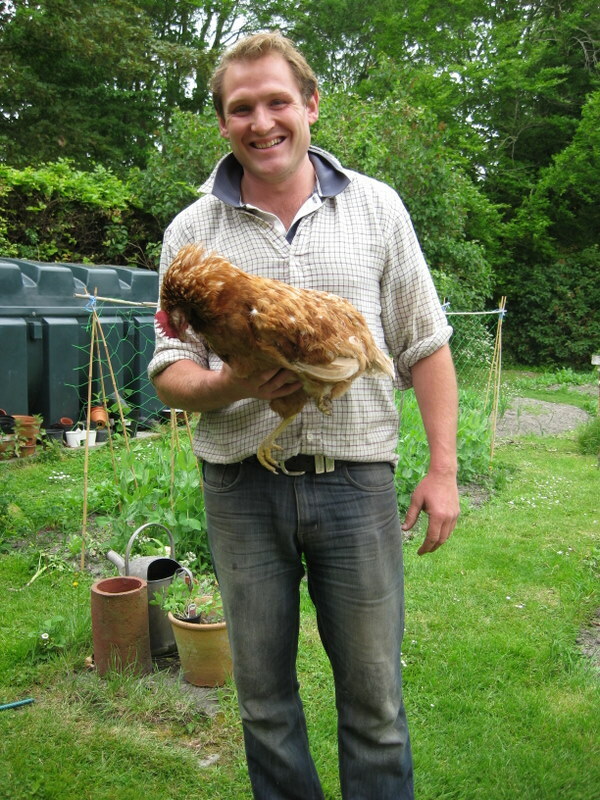 Rushing into the village, I ambushed a handsome young farmer and begged him to remove said chicken. Thankfully he did and thankfully he diagnosed death by old age and not neglect. Baking will never be the same again. 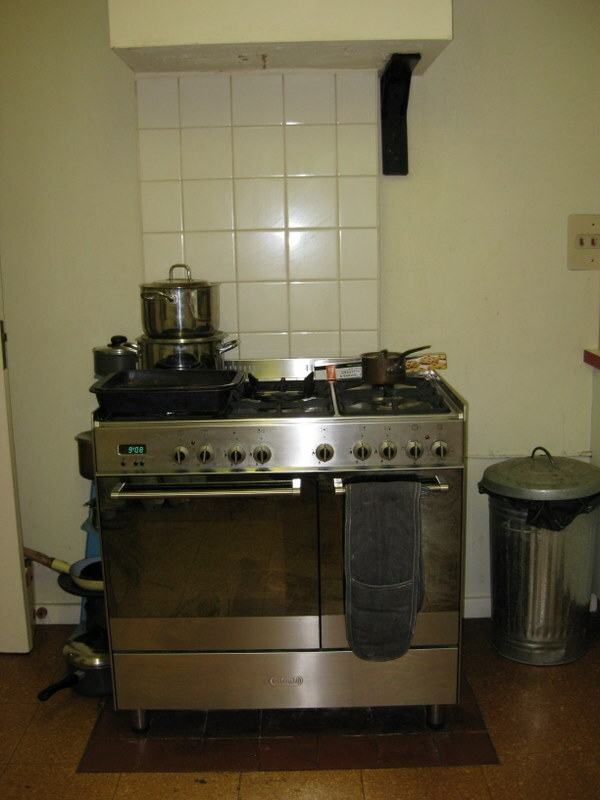 If you would like the travelling bread oven to come and teach near you, please contact us. Within reason we can teach anywhere as long as we can find students and a venue. It's not simple, but it's not impossible either and we live to spread the bread.